A Vietnamese woman accused of murdering the half-brother of North Korea's leader will testify in court for the first time next week, when the long-running trial over the Cold War-style hit resumes, her lawyer said Tuesday. Salim Bashir, one of Huong's lawyers, said she will testify on Monday when the trial resumes with the defence stage of proceedings after a break of several months. "Huong is in good health, confident and is ready to take the stand," he told AFP, adding that the thrust of the defence remained that the women were tricked into carrying out the killing. "Huong had no... intention to commit murder." 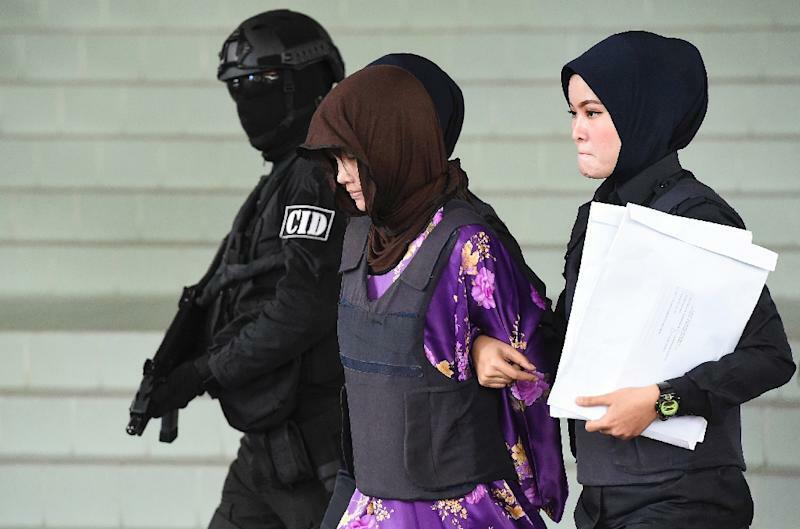 The pair have been on trial since October 2017 but proceedings have been hit by repeated delays, and Aisyah's defence -- which was originally due to start last year -- is currently on hold due to a row over witness statements. Prosecutors presented their case in the first stage of the trial, with witnesses describing how the victim -- the estranged relative of Kim Jong Un and once seen as heir apparent to the North Korean leadership -- died in agony shortly after being attacked. In August, a judge ruled there was sufficient evidence the suspects had engaged in a "well-planned conspiracy" with four North Koreans to murder Kim, and ordered that the trial continue to the defence stage.